← Log Cabin’s Look Nice, But Do They Last? A log cabin kit is ideal for anyone who wishes to contribute to building their log home, but lacks the DIY capacity to build one from scratch. Or maybe you don’t have adequate carpentry skills or the time to cut, notch and peel the logs yourself. A kit is the ideal solution to all those issues as it simplifies the process of putting up a log house, while allowing you to be actively involved in the building process. Kits have become extremely popular in recent times and the demand has led to an increase in the number of budding manufacturers. There are different types of log home kits and before you make a purchase, you will need to know which exact type of log kit is ideal for your needs. A lot of people turn to kits to save on the expense of labor. Walls only- This is the most basic and consequently the cheapest package. It consists of pre-shaped logs for putting up walls. While the package might appear cheap at first, the price can be significant dependingt on the size of your log home. Quality Log Home Builders have a wide range of this type of kits and they can help you determine which one is best to suit your exact needs. As custom log home builders, they can put together exactly the package that you need to get your task done the way you want it. Structural shell- This is the most popular of all home kits. It comes with the walls, rafters, roof, and beams. Depending on the type of log used, design and detail put into it, the price can vary but it’s affordable to most. If you don’t have building experience this might not be the ideal package for you, as they are usually sold to serious builders looking to own a log cabin. “Some assembly required” is an understatement for this package, but you are buying this with the intentions of taking on a hands on build, we are just giving you the materials you need! If you DO need any help with assembly, we are just a call away! Complete homes- We now have in the market complete kits that include all the materials needed to put up a finalized weather-tight shell. The list of materials provided varies from one manufacturer to another so it’s important to do research on what different manufacturers within your area are offering. It’s important to note that if you are sold an item not listed in the initial package, you will most likely have to pay extra for it. Stay alert to that! If you are a first-time log cabin kit purchaser, do not shy away from getting as much help as you can from the manufacturer. You can also engage a contractor to assist you through the process of purchasing the ideal kit, as well as putting it together. Do not be afraid to bargain because a good number of manufacturers will be open to negotiating on the price, they want your business! Quality log home-builders offer a wide range of log cabin home kits in Virginia or North Carolina. When you buy their kits you not only get exceptional prices but unrivaled customer service. They will help you through the process of choosing the right kit and even give you guidelines on how to put it up. 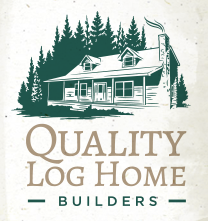 For more information and advice on the ideal kit for you contact Quality Log Home Builders through their website, and feel free to call them at any time with any questions that you may have. This entry was posted in Log Cabin Kits and tagged cabin kits, local wood for log cabin, log cabin kits, log cabins, North Carolina log cabins. Bookmark the permalink.